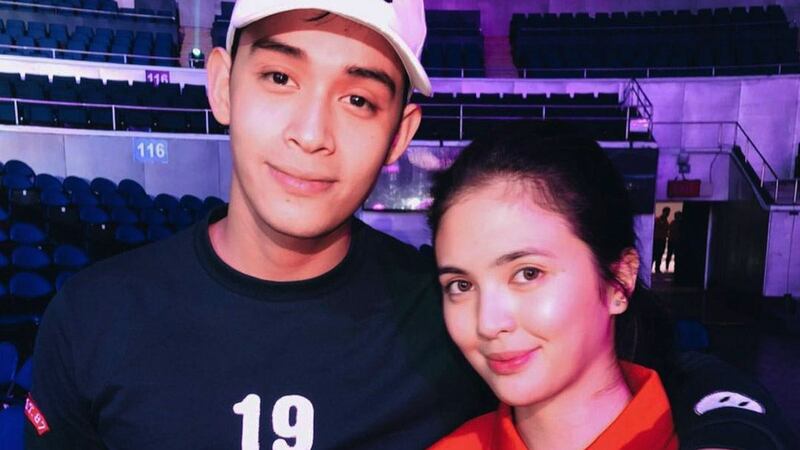 Did Diego Loyzaga Just Reveal Sofia Andres' Relationship Status? Diego Loyzaga was recently under fire when he posted an innocent photo of him with a close female friend on Instagram. Fans of his love team with Sofia Andres took offense at the 22-year-old actor being spotted with a different female partner. Writing on the caption, he said, "Since '11." In the comments section, Diego responded to the hate messages and even revealed Sofia's current relationship status. "@ac_autria Sofia has a boyfriend," he wrote. In another comment, the former Pusong Ligaw actor said, "@mikmikaiiko yeah you didn't get my comment. Sofia and I are not together. Pls. don't think we are. Baka may magalit." The girl in question, Diego's friend Chelsea Ronquillo, posted the same photo with a caption that says, "Think watchu wanna think, we all know what it is. Since 2011, much love." In the comment section, the two friends responded rather sarcastically over the issue blowing out of proportion. Diego wrote, "girlfriend na pala kita hahaha," to which Chelsea replied, "@diegoloyzaga HAHAHAHAH ang laugh trip." As of press time, Sofia and her management have yet to react to Diego's statements. The last time the two appeared onscreen together was in the film Mama's Girl.